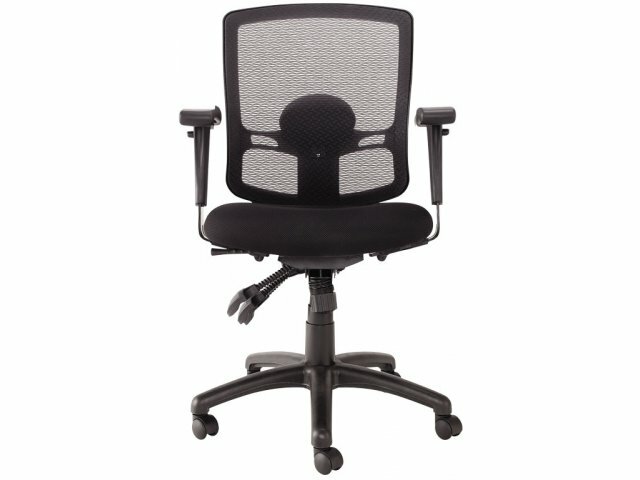 This budget-friendly office chair is the economical choice for any hardworking professional who spends many hours at the office. 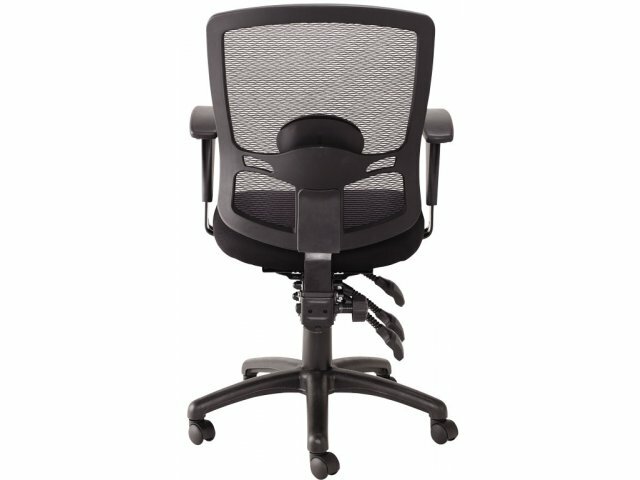 Its attractive design and ergonomic features combine to form a chair that will mesh well in virtually any office environment. 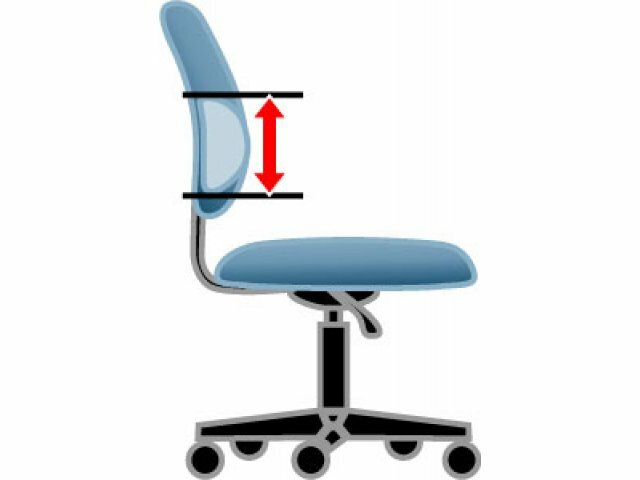 Adjustable lumbar support, pneumatic seat-height adjustment and a locking tilt mechanism with tilt tension control create a custom fit for hours of personalized support. 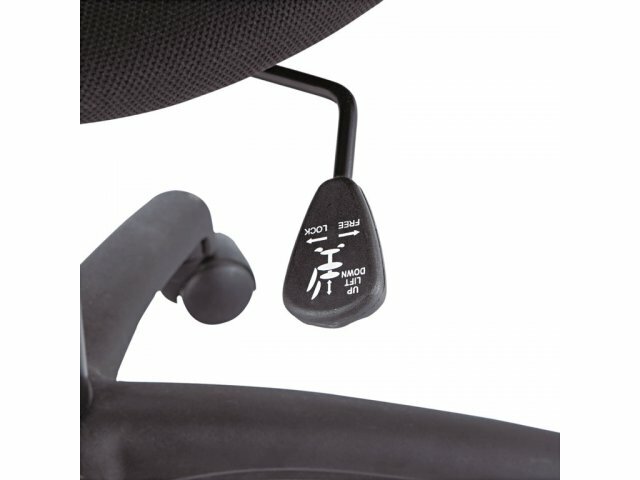 Loop armrests enhance the sleek design while promoting appropriate positioning for typing and working. 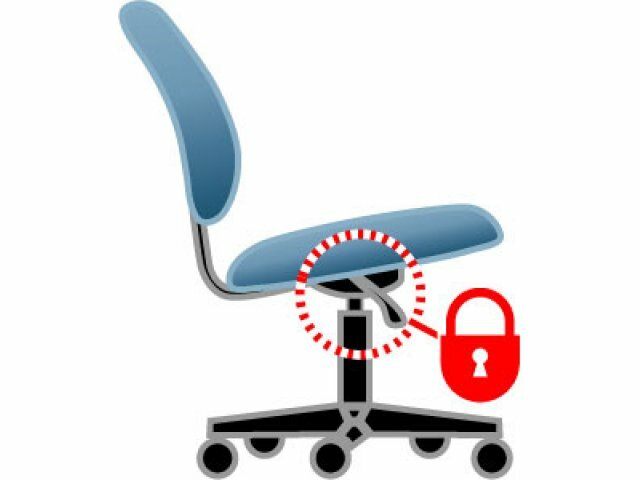 The supportive design of the Etros Office Chair is completed by a breathable mesh back and cushioned mesh fabric seat which provide healthy ventilation and comfortable padding. 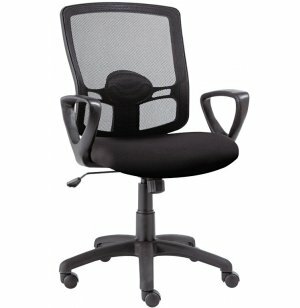 Economical Choice: This office chair costs less than similar models while offering the same comfort and adjustability. 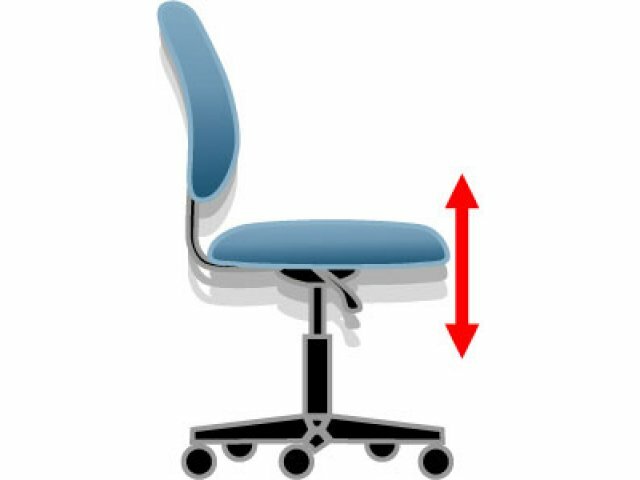 Healthy Airflow: A cushioned mesh fabric seat and breathable mesh back keep the body ventilated. 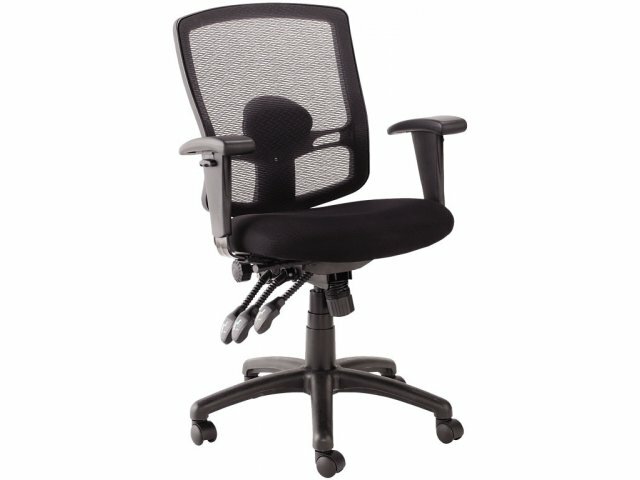 Ergonomic Comfort: Adjustable lumbar support, a locking tilt mechanism with tilt-tension control, and pneumatic seat-height adjustment provide a personalized configuration. 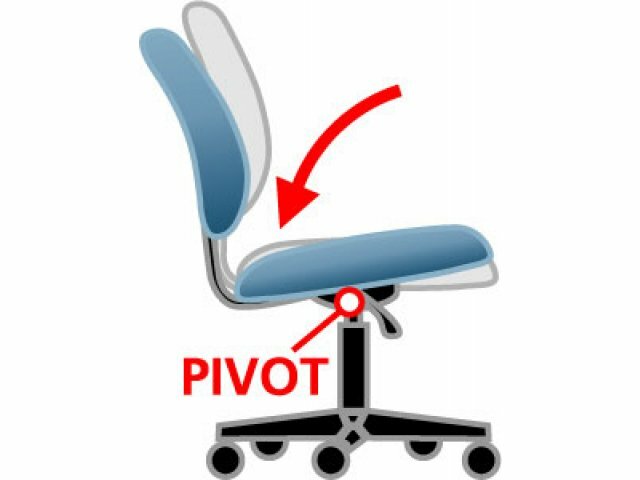 Arm Support: Loop armrests add style and support. 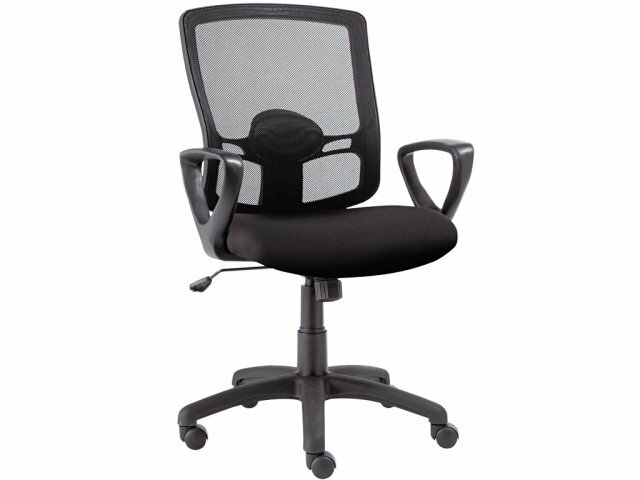 Smooth Rolling: This sleek office chair is supported by a five-star base with casters for easy mobility.